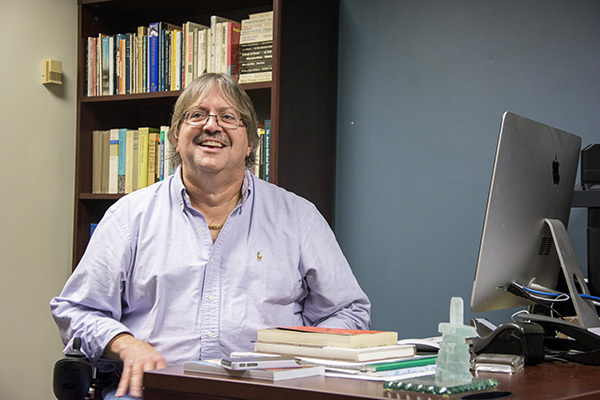 English professor David Mitchell plans to take GW students to Germany this spring to learn about the mistreatment and killing of disabled people during World War II. Mitchell, who is disabled, thought of the idea for the course eight years ago, when he gave lectures at the University of Frankfurt about his book on the Holocaust. Along with women’s studies professor Sharon Snyder, Mitchell spent that trip visiting World War II-era psychiatric hospitals, and they now hope to give students a similar experience. Mitchell and Snyder will take about a dozen students to Germany this spring, making stops at the Berlin Holocaust memorial and a workshop for the disabled where blind people hid during the Holocaust. The group will also go to Bernburg, Germany to see a psychiatric hospital where Nazis used a gas chamber to kill psychiatric patients during the war. Mitchell spotlighted the hospital in his 2002 film about the killings, called “World Without Bodies,” which also served as the basis for the course. “I have felt compelled to keep open conversations about the history of eugenics as they serve as the basis of contemporary practices of exclusion,” Mitchell said. Nearly 300,000 people with both physical and mental disabilities were killed during the Holocaust, mostly through a Nazi-run euthanasia program. This September, the German government completed a memorial in Berlin for the victims. “Germany has been unlike most other countries in that they have been very open about having a public conversation about atrocities in the nations’ past and it’s erected a lot of memorials, museums and ways of commemorating victims of the Holocaust,” Mitchell said. Mitchell said he plans to meet with disabled people in Germany so students can hear their stories. So far, about a dozen students have applied for the course, which is one of four Dean’s Scholar in Globalization programs that will take undergraduates abroad this spring. Students have to complete an application and go through an interview process to be chosen, Mitchell said, and the course will cost about $4,000. Other Dean’s Scholar courses this year include trips to Turkey and Italy. Mitchell said he hopes to create a presentation of the experience for the dean’s office after the course ends. Before coming to GW, Mitchell founded the country’s first Ph.D. program in disability studies at the University of Illinois-Chicago in 2001. Mitchell worked at Temple University since 2008, directing the program in disabilities studies. Eight of GW’s 14 peer schools, including Boston, Duke, Emory and Northwestern universities offer courses in disabilities studies. Michael Schwartz, an associate professor at Syracuse University, teaches in the school’s disabilities studies program – which was the first in the country when it was created in 1994. Schwartz said he has taken his students on similar trips to Vietnam to learn about how disabled people’s experiences there. He called Mitchell a “respected voice” in the field of disabilities studies. 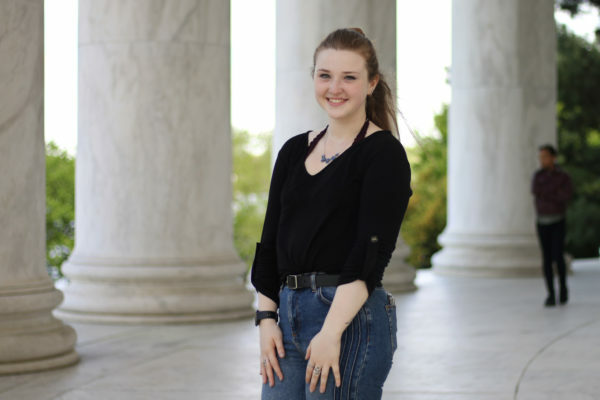 “I’m very familiar with the history of the Holocaust, and I think Dr. Mitchell’s trip is a wonderful opportunity for the GW students,” Schwartz said.